Just over 40 years ago NASA launched a pair of robotic space missions on an audacious voyage: explore what was then almost the entire known outer solar system, and turn what were then mere points of light into full-fledged worlds in their own right. The resulting missions of Voyagers 1 and 2 have lived up to that audacity, and have rewritten the textbooks about our solar system. 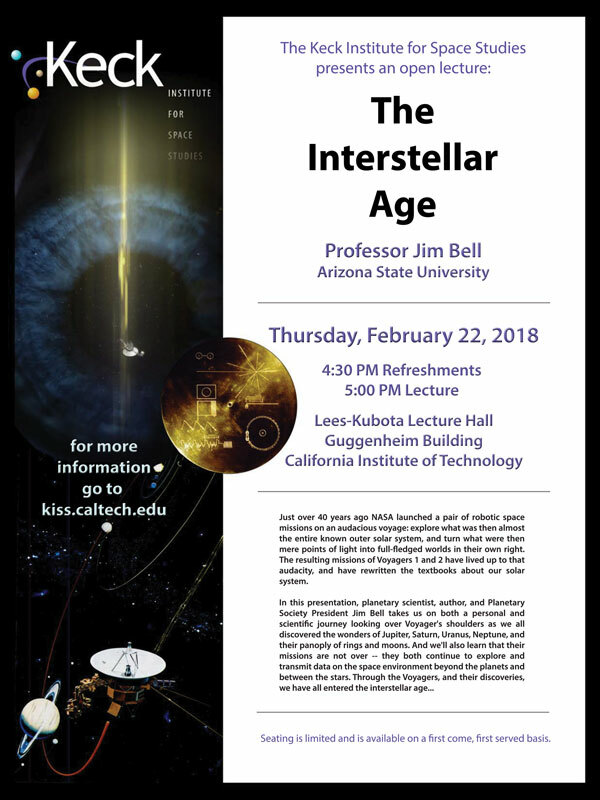 Dr. Jim Bell is currently a Professor in the School of Earth and Space Exploration at Arizona State University in Tempe, Arizona and is an Adjunct Professor in the Department of Astronomy at Cornell University in Ithaca, New York. He received his B.S. in Planetary Science and Aeronautics from Caltech in 1987 and his M.S. and Ph.D. in Geology & Geophysics from the University of Hawaii in 1992. Jim spent 3 years as a National Research Council postdoctoral research fellow at NASA's Ames Research Center from 1992 through 1995. 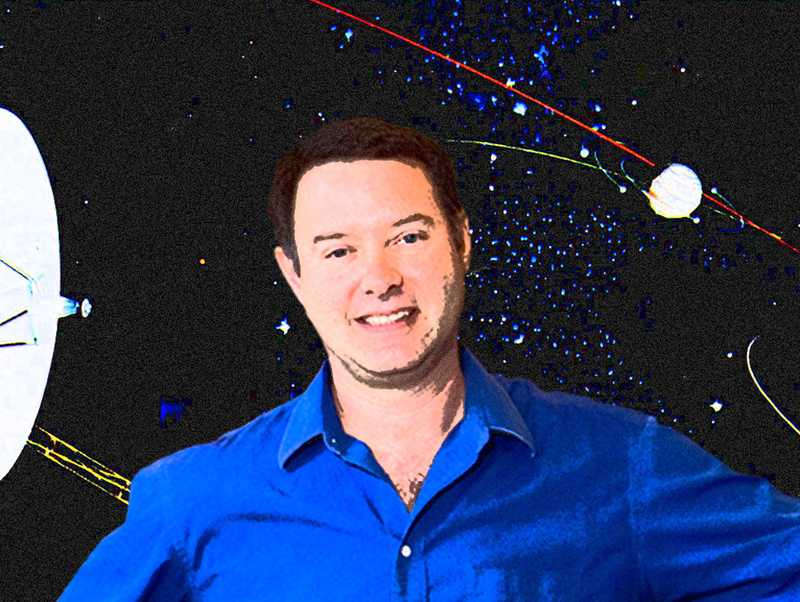 Jim's research group primarily focuses on the geology, geochemistry, and mineralogy of planets, moons, asteroids, and comets using data obtained from telescopes and spacecraft missions. Jim has a main belt asteroid named after him (8146 Jimbell), and was the recipient of the 2011 Carl Sagan Medal from the American Astronomical Society, for excellence in public communication in planetary sciences.